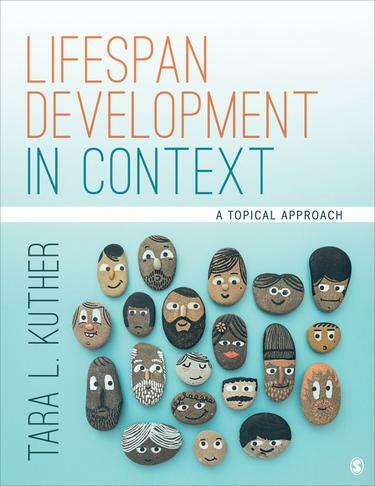 Award-winning author Tara L. Kuther presents Lifespan Development in Context, a topically organized version of her bestselling Lifespan Development text that provides a panoramic view of the many influences that shape human development. Kuther and rsquo;s student-friendly narrative guides the reader through immersive video cases and real-world examples to illustrate how the places, sociocultural environments, and ways in which we are raised influence who we become and how we grow and change throughout our lives. Three core themes resonate throughout each chapter: the centrality of context, the importance of research, and the value of applied developmental science. Foundational theories and classic studies are combined with contemporary research and culturally diverse perspectives for a modern introduction to the field that is both comprehensive and concise. Visual overviews, case studies, and critical thinking questions encourage self-reflection and class discussion, ensuring students have the tools they need to apply course concepts to their lives and future careers.